2005 Boards member Hotconvoy brought our attention to another Bumblebee movie campaign. 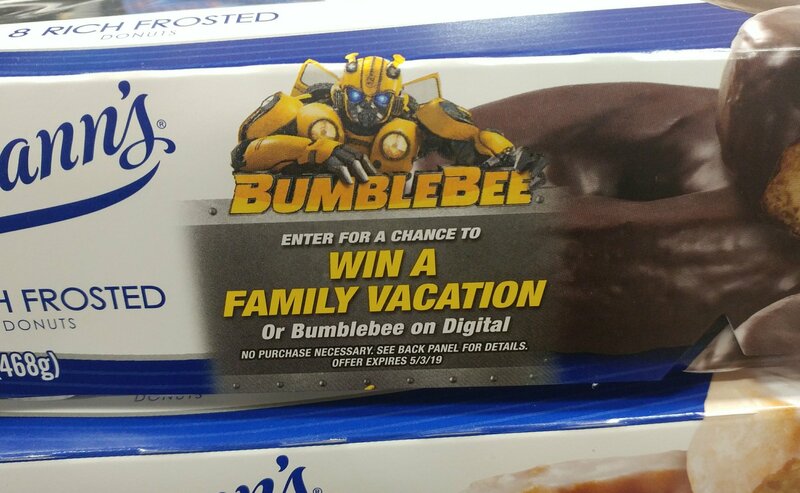 Some Entenmann’s Donuts boxes got an additional image with the Entenmann’s Donuts & Bumblebee “Win A Family Vacation” Promotion. One lucky winner and up to three guests (one adult guest and two minor guests) can win a trip to Myrtle Beach, South Carolina, including transportation, hotels and attractions for a value of $3,500. 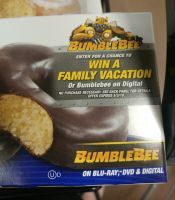 There is also a chance to win a digital copy of Bumblebee (100 copies available). 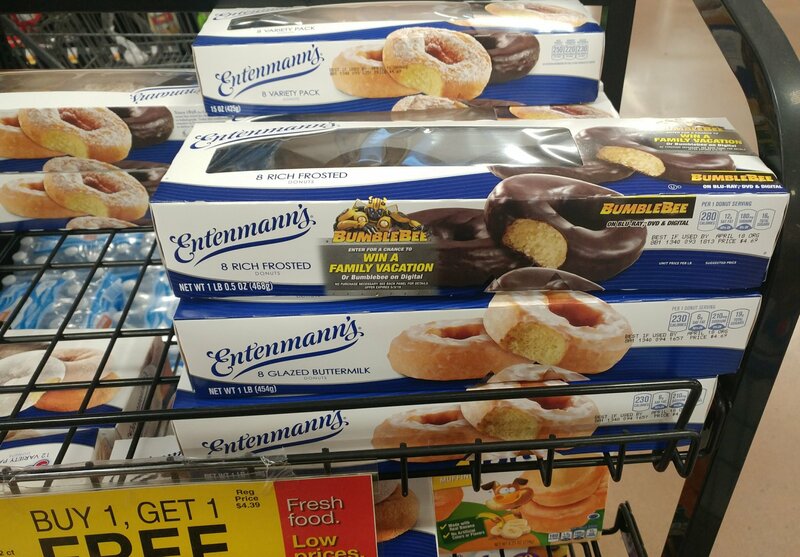 No purchase is needed to participate, just register here (US residents only) until May 3, 2019 at 11:59 p.m. ET and try your luck. You can also check out the rules and conditions here.